When I first spied these large containers in Ben Franklin Crafts, I wasn't sure what they contained. They looked like tinsel but on closer inpection they seemed to be something different. Attracted by their metallic sheen I looked around to see if I could find an indication of what to do with this new product. The sample nearby was a clear ornament ball with little mylar like beads inside. Oh, so that's what was inside the containers. My crafty magpie nature made me get every color. I knew I would figure out what to do with them later. (In this photo also are some containers of strung plastic pearls which seemed like a good investment for future use as card embellishments because of their vintage color tones. The colorful container has mini styrofoam holeless beads which I thought might make good fake toppings for dessert images on cards.) About the same time that I was purchasing the mylar-like beads, I saw Jenny on the Ben Franklin Crafts Ideas and Inspiration blog video. She was demonstrating how to make candy wands. I thought they were cute but I didn't want to give out more candy as favors. In a light bulb moment I knew that the clear tubes could hold the mylar beads and that they would be a great party favor for crafters. 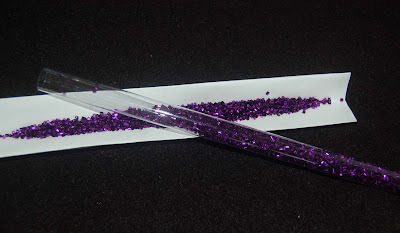 What crafter wouldn't want lightweight shiny beads to embellish cards or to use for shaker cards? The photo below shows what I used to fill the tubes (just a folded piece of computer paper). 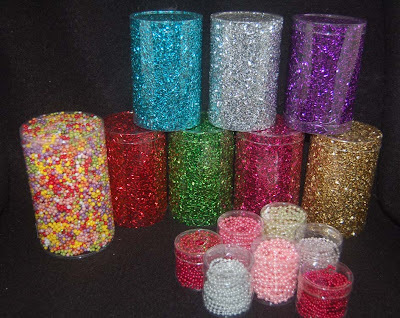 Each container has enough beads to fill at least 10 tubes.....maybe lots more! I think the party favors turned out very well decorated with tinsel wire twists, jingle bells, and reindeer tags made using the new Sizzix/Hero Arts rubber stamp set with matching die cutters. 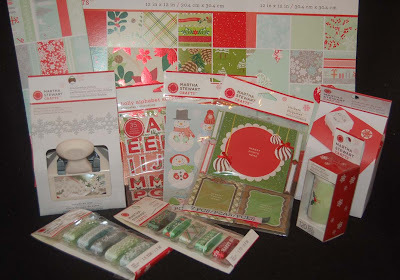 This last photo shows the Sizzix/Hero Arts set which is a terrific new product. It makes cutting even intricate shapes (like the reindeer) super easy (using almost any die cutting machine). Even the reindeer sweaters were cut by using the die and then the edges detailed with a black Sharpie. Ben Franklin Crafts has other non-holiday sets, too with the same feature of cutting out your stamped images with the matching dies. 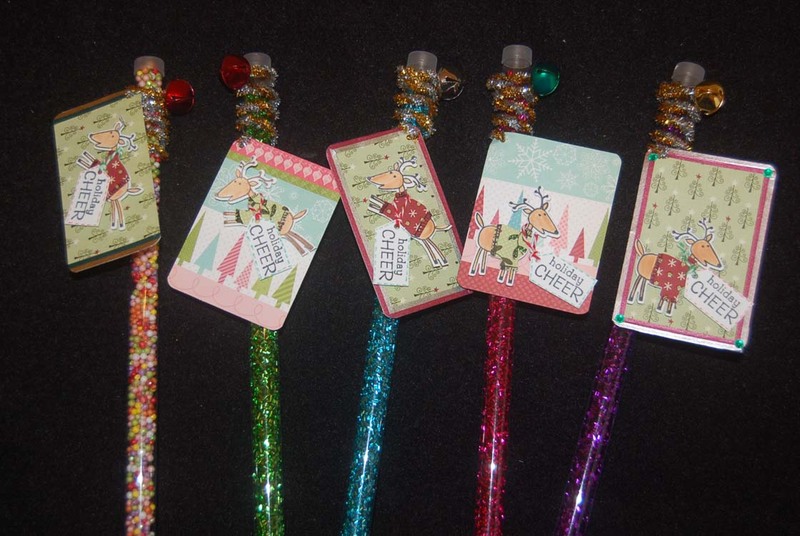 A set like this would make a fantastic gift for your favorite crafter. Also shown in the last photo is a package of various colored twine made by the Doodlebug Design company. (Notice the twine around the reindeers' necks?) This twine comes in different colored sets and single color rolls. It's great and attractive for tying on tags. Whoa, this has been a really long post. I'd like to end it by saying that there still is no winner to the price scavenger hunt contest (information on Sat. Nov. 26th post). You don't need to purchase anything to win.....just find the total price of the seven items (sold at Ben Franklin Crafts) shown in the photo. Remember that your answer should be sent via a comment to the Sat. Nov. 26th post and only ONE guess per blogger (sorry Jenny V.). As an added hint, it is the medium size hot/cold bag that I priced. Okay, I hope lots of you busy crafters will take the time to search for the total. Maybe you'll be the first one with the right answer and win the $35 gift card to Ben Franklin Crafts. The contest will end on Friday of this week even if no one sends in a correct total. Happy Hunting! This is a cute kit that has all the parts for a child to make a photo ornament. them ideal for cards and tags. 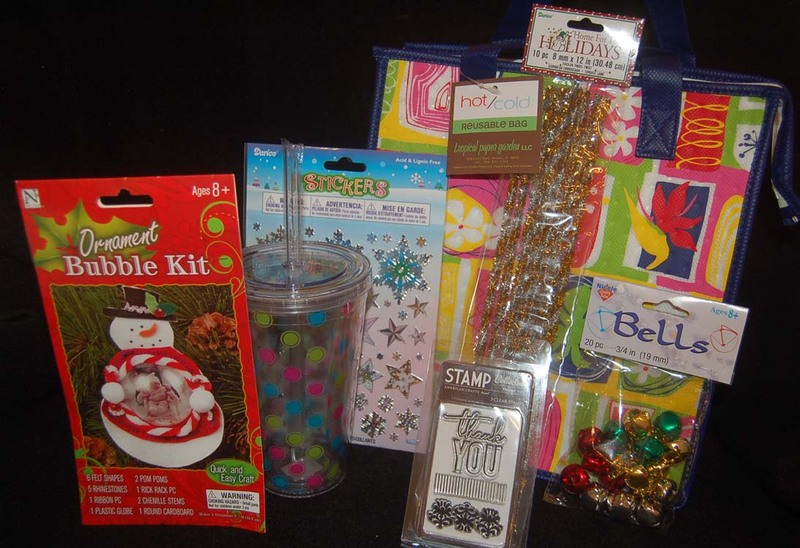 American Crafts products and will be useful for those after-Christmas notes of appreciation. your crafts. Kids will love playing with these! a variety of sizes and in single-color or multi-colored packages. Okay, you know the products so hurry down to your nearest Ben Franklin Crafts and figure out the total for all SEVEN products. (The item prices are the regular item prices without discounts or special sales.) Send me a comment to this post telling me this TOTAL. Hope you are the fastest and I can send the prize to you. If you win you will have to send me a mailing address via e-mail. Good Luck to All! Yes, you still have time to get some supplies from Ben Franklin Crafts and use them to whip up Christmas cards and tags. 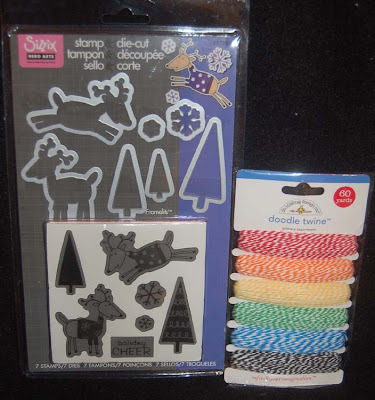 There is a nice selection of papers and Christmas themed rubber/cling stamps. The stamps pictured here are new ones from Stampendous. Also in the photo are Jolee stickers which will make assembling your crafts a snap. I love snowmen, penguins, polar bears, and snowflakes so I find that sticking to my favorites allows me to match up stickers, papers, rubber stamp images, and other embellishments. Now time for crafting....I'll show you later how I teamed up my supplies for quick projects. See you again....make it soon! My girlfriend, Jane Houk, is a watercolor artist. Her latest painting, Chinese Lion for Luck and Fortune, was purchased by the State Foundation for Culture and the Arts. 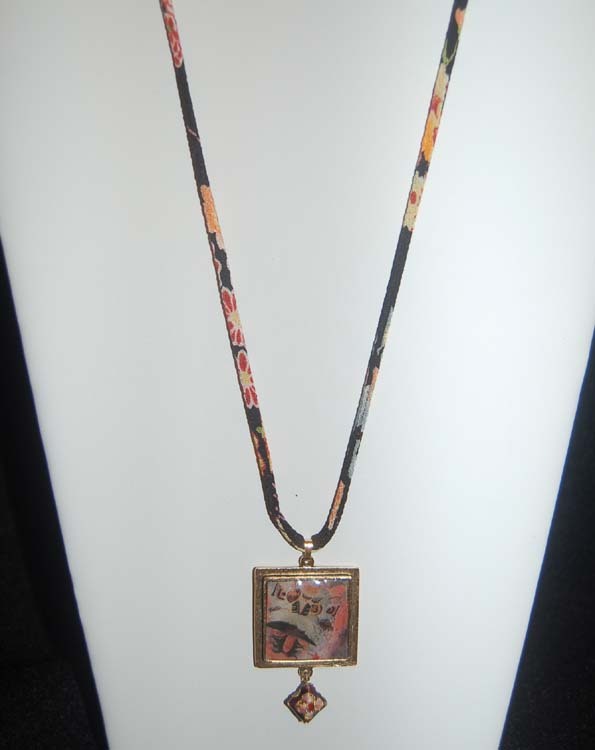 I was so impressed by her work that I decided to capture it in a piece of wearable art for her. While in Japan I came across a new resin product which is set by UV light. I knew that it would be the perfect way to encase a digitally reduced copy of Jane's painting. The pendant base is from Nunn Designs and I found a cloisonne bead that matched perfectly with the kimono fabric cord (a wonderful purchase from Japan). I made two necklaces (not identical), one for her and one for me. I think we are both pleased with our combined artistic efforts. Success = 1% inspiration and 99% perspiration. I've had the faux bois (I think that's how you spell it), fake wood, Sizzix embossing folder and gnome clear stamp set (www. sweetstampshop.com) for awhile so I was excited when I thought of a way to combine the two in a card for some friends who have been substitute parents for my son attending college in Cambridge, MA. Anyway, I used the embossing folder on some cardstock that was brown on one side and green on the other. Sanding the embossed cardstock brought out the details, making the card front look more a tree trunk. I tore the hole in the cardstock to simulate the hollow of a tree. The gnome was colored with Copic pens and adhered with pop-dots. The mushroom image was made with a CC Designs stamp and also colored with Copic pens. 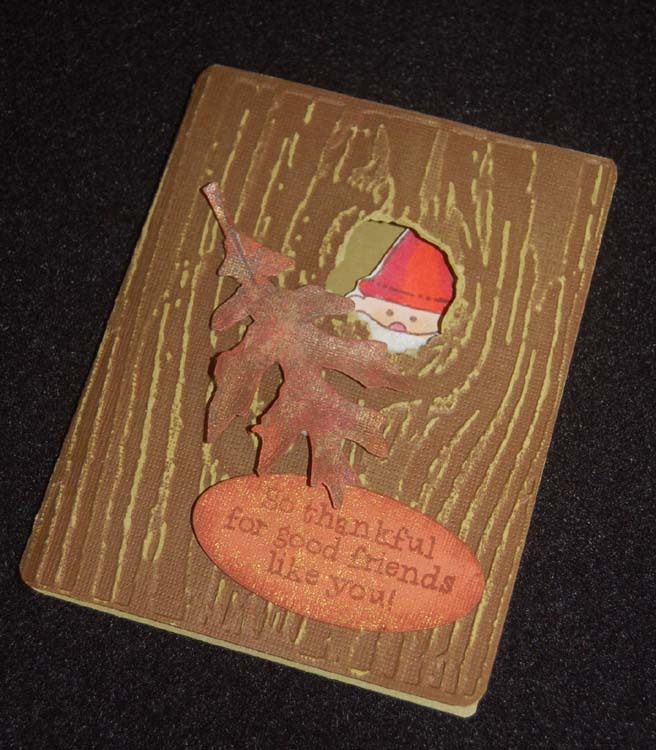 The leaf was die cut with a Tim Holtz die called Tattered Leaves. To make the die cut leaf more realistic it was stamped with a Hero Arts stamp from the Real Leaves set and sprayed with gold Tsukineko Shimmer spray. An artificial leaf could be used if you don't want to make one from paper. 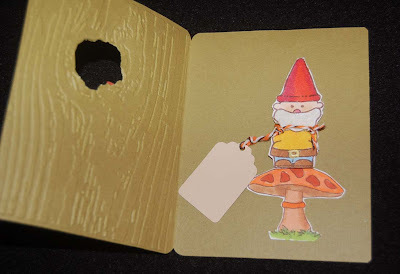 If you don't have the gnome stamp, you could use a creature from the Hero Arts Woodland Creatures, which also has mushroom images. The words are from a Hero Arts stamp set called, 'So Thankful'. Inside the card I tied a tag (to be used for writing a message) around the neck of the gnome. 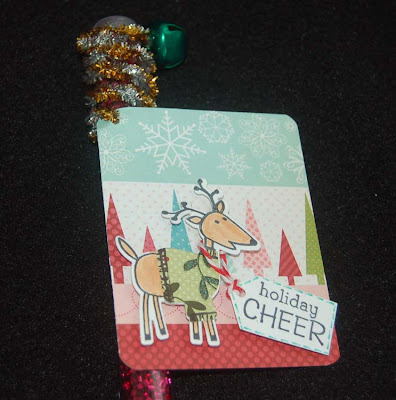 The tag was attached with twine from Doodlebug Designs. Ben Franklin Crafts now has a huge assortment of pretty, colorful twine which comes in multi-colored sets or single rolls. Lots of twine on a roll for a low cost! Thanks for visiting my blog. I hope it was worth the stop and that you'll be a regular reader. Leave a comment if you have some time. I enjoy reading every one of them! Nobody does Christmas like Martha Stewart. I especially love her paper pads this year. She has 12 x12 Designer packs with 24 sheets, adhesive border pads, and 4.75 x6.75 tablets of printed two sided cardstock. Although I have more Christmas paper than I could ever use, I just couldn't resist just a couple more.....they were so reasonable! I told myself, "No more Xmas punches this year! ", but Martha broke my resolve and I got the MS double edge snowflake border punch AND the snowflake all-over-the-page punch......bad girl, Lynn. 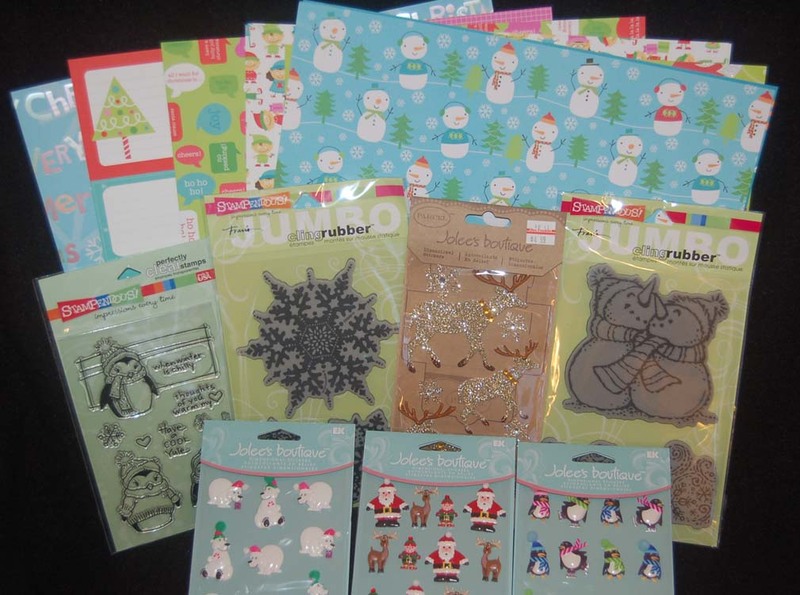 Since I was already in a Martha Stewart shopping frenzy, I picked up two packs of ribbons (woodland and snowflake), a roll of 120 woodland adhesive labels, and packages of photo holder stickers, layered snowmen stickers and felt holly letter stickers. Then I left Ben Franklin Crafts with a big Martha Stewart smile; dreaming about all the fantastic things I'd create....cards, tags, ornaments galore....keep on working gotta make more! I've been playing with the origami paper (50 sheets) that came with the book I showed in my last post. Following the book's instructions I made a money holder, small square box and a large rectangle box. 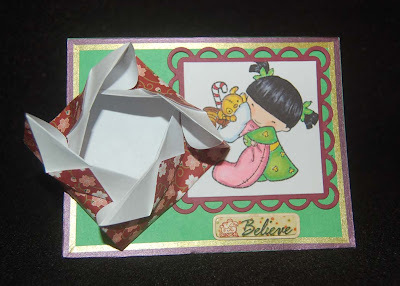 I thought that the money holder would be a great way to hide a monetary gift on a card so I combined it with a Copic pen colored Christmas Sister Stamp image, Spellbinder die-cut square scallop frame, K and Co. 'Believe' sticker, and some new washi-type thin tape with a metallic sheen. (This tape (with repositionable adhesive) was purchased in Japan but I'm hoping this product will be available in our Ben Franklin Craft Stores soon.) The small origami box was easy to fold and would be great for a tiny gift....jewelry? I had a bit of trouble with the rectangle origami box, but I went to bed and when I woke up I could do it. I guess my brain works when I sleep LOL! Anyway, the rectangle box is just perfect for housing homebaked goodies. It is folded from a 12" square piece of paper. (Heavier cardstock would probably not fold well.) The bottom photo shows the card with the money holder opened. Origami can be creatively incorporated into your crafts and the book, The Simple Art of Japanese Papercrafts by Mari Ono will surely be a good inspiration. Thanks for taking the time to read this blog! Thanks for the Comment Winner! What you didn't know about my contest? Well, it wasn't a contest in the truest sense, but I have picked a winner. I am always so grateful for your thoughtful and encouraging comments that every once in awhile I want to thank you for your efforts. I have chosen October as my month from which to choose my comment winner. To be fair each and every comment that was sent to my blog was placed in a bag and from those names I chose a winner. If you sent one comment in October you were entered once or if you sent ten comments your name was put in the pool ten times. 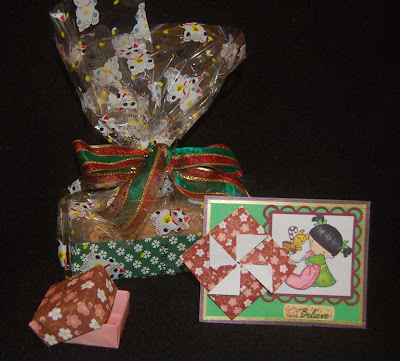 Okay, so the winner of a $25 gift card from Ben Franklin Crafts is.....tah da....Shirl of Creations by Shirl. Congratulations! I will be contacting you soon to obtain a mailing address. Now that we no longer have Borders in Hawaii, I'm really grateful that Ben Franklin Crafts has continued and possibly increased their craft book and magazine selection. Pictured below are two books and several magazines I selected for cozy autumn reading. The Japanese Papercrafts and A Card a Day books would make excellent Christmas gifts. Japanese Papercrafts by Mari Ono has great photographed projects and instructions plus fifty sheets of origami paper. A Card a Day is a Leisure Arts Publication from Paper Crafts magazine so you know that it is great compilation of card ideas. This book has over 365 card ideas so you could make one every day of the year using the included instructions and supply lists. I love looking at holiday issues of magazines because they are filled with ideas for the Autumn and Christmas season. 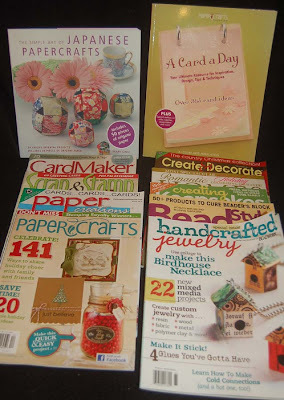 Among my usual favorites found recently at BFC are: CardMaker, Scrap and Stamp, Paper Creations, and Paper Crafts. I also purchased a new (to me) publication called, Create and Decorate which was filled with holiday baking, painting, stitching, and ornament making ideas. Three of my favorite go-to-for-ideas magazines were also on the BFC shelves as usual: Bead Style, Creating Keepsakes, and Romantic Homes. Finally, I spied and had to buy a special issue by Beadwork called Handcrafted Jewelry which was filled with lots of spectacular jewelry projects. If you need a spark of inspiration, check out the reading material at Ben Franklin Crafts and I'm certain you will find a publication to start your creative juices flowing. Happy Reading! I'm back from Japan and I bet you didn't even know I was gone (LOL!) ...thanks to scheduled posts. My two weeks in Japan (Tokyo, Osaka, and Kyoto) went by quickly and I spotted some interesting craft trends. I also brought back ALL of Japan (so my husband claims) in twice the number of suitcases that I took to Japan. There were so many interesting craft products; I couldn't resist bringing back samples to figure out if I could replicate them. 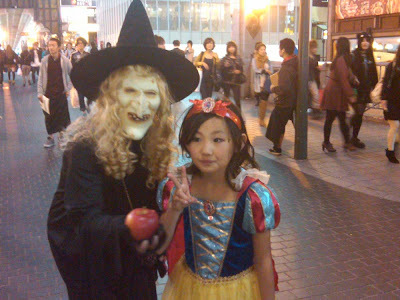 Anyway as I unpack and unwind, I thought you might enjoy these Halloween pictures taken on the Dohtombori Bridge in Osaka. 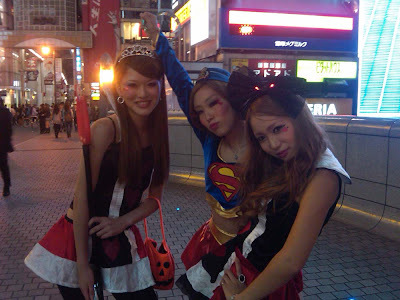 (Yes, Japan teens are now dressing up for Halloween and the stores are decorated with jack-o-lanterns, spider webs, skeletons, etc. but they don't do trick-o-treating.) Okay, I'll get back to crafting and blog reading soon. 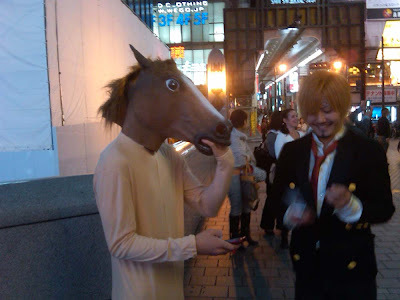 I was able to comment on a few blogs while in Japan, but not able to connect to many. Ah, the family holiday season is coming soon! It's time to craft, craft, craft! 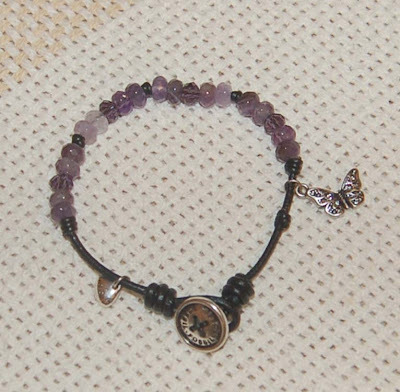 I had to have it when I saw the amethyst black leather Fossil bracelet at Macy's. 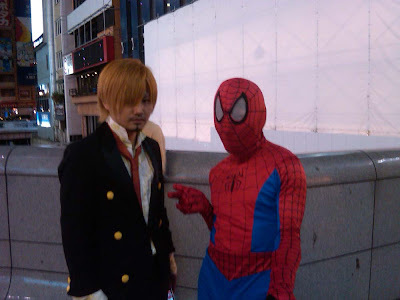 Of course, I not only wanted to wear it, but I just had to figure out how to replicate it. After a bit of measuring and inspecting I successfully made the ocean themed bracelet with driftwood-colored cording and leather plus some inexpensive low-grade faceted aquamarine roundels and sterling silver beads/charms. The fall season bracelet was a bit more challenging because I discovered the orange sunstone roundels had very small holes so the cording could not pass through them. After some adjustments and changes in beads/layout, I was able to complete the bracelet to my satisfaction. 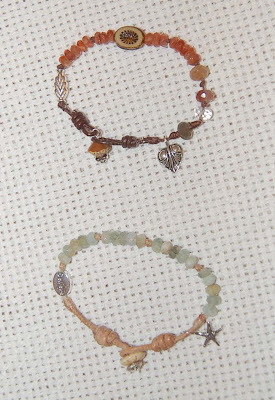 Don't you just love the bead that looks like a cut log and the little acorn-like bead used for the clasp (from an elastic 2/$7 bargain bead bracelet sold at Ben Franklin Crafts). I always say that any project (no matter how simple) is an opportunity to learn. My lesson from this project was to always carefully look at bead holes to be sure your cording will fit them and if possible test the fit before purchasing. The cost for my homemade bracelet was 1/3 the price of the Macy's one. The beads-and-leather-cording look of today's style of jewelry means that the main expense is for the silver components. You can of course adapt this style to incorporate crystals or less expensive roundels and silverplated (gold-filled or copper) beads. I was very pleased with the outcome of this copy-cat project and have plans to make many more bracelets for Christmas gifts. I appreciate your visit and hope you'll leave a comment (I love them) if you have the time. Mahalo!